inSSIDer sheds light on the most common WiFi problems – interference from neighboring networks, poor router placement, inadequate coverage, faulty network configurations, and dropped connections – and provides the insights you need to maintain a reliable WiFi network. Selecting the right channel for your WiFi network is easy with inSSIDer. 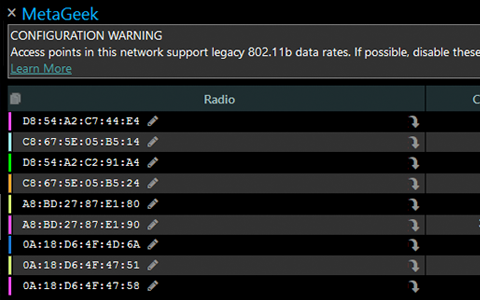 Scan the wireless environment, select your WiFi network, and inSSIDer recommends the best WiFi channel for you. It’s also quick and easy to perform a routine spot check to ensure optimal channel selection and minimize or eliminate interference from neighboring networks. From choosing the location for your router to ensuring your network serves its users, it’s critical to regularly measure signal strength (RSSI) across your coverage area. inSSIDer displays your network’s signal strength over time so you can minimize problems with dropped connections or roaming issues when moving from one place to another. Properly configuring a WiFi network is more than plugging in the router and hoping for fast, reliable WiFi. inSSIDer analyzes your network and recommends configuration optimizations based on real data, allowing you to pick the right channel, disable legacy data rates, and identify security issues to maximize the speed and efficiency of your small network. Non-WiFi devices like wireless video cameras, Bluetooth speakers, and cordless phones interfere with WiFi, but basic WiFi scanners can’t see them. 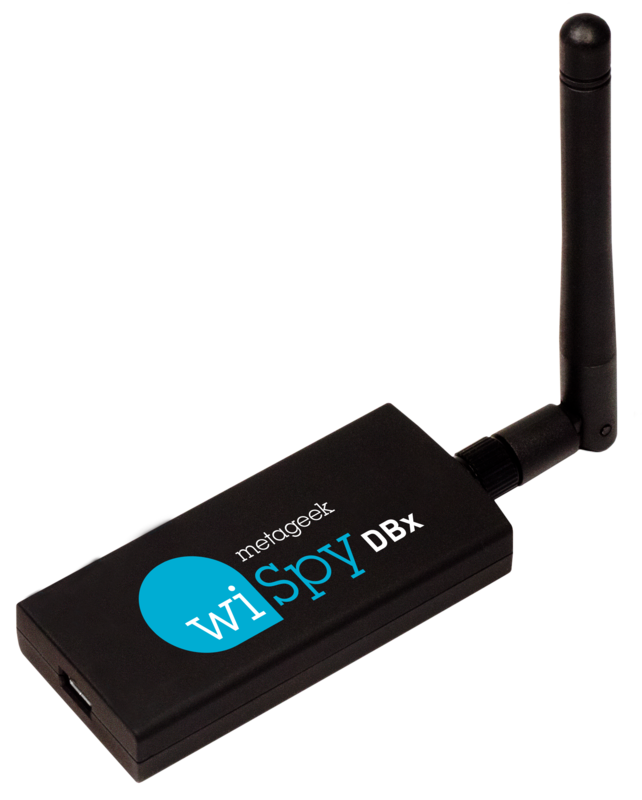 The Wi-Spy spectrum analyzer allows you to see non-WiFi interference in inSSIDer, giving you a full picture of your WiFi environment. inSSIDer software takes input from the Wi-Spy hardware in order to provide the information detailed above. The functionality of the DBX hardware allows input of both 2.4GHz and 5GHz data allowing you to visualise and troubleshoot interference across your whole Wi-Fi network.